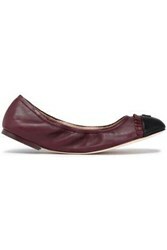 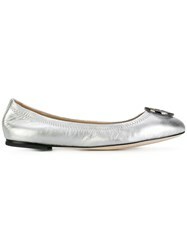 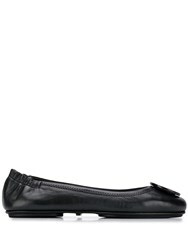 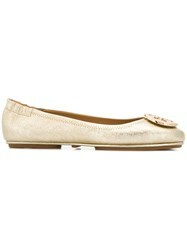 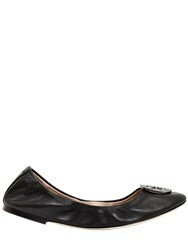 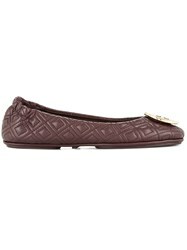 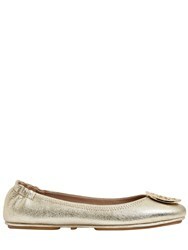 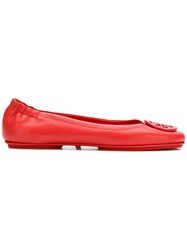 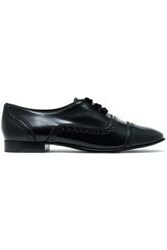 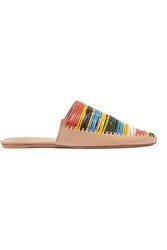 Tory Burch takes versatility to the next level with these elegant Minnie travel flats. 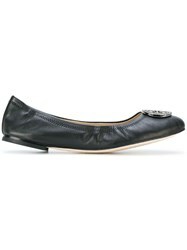 Featuring a split sole and folds, as well as an elasticated back, this pair can be packed up to fit into any handbag for a quick change on-the-go. 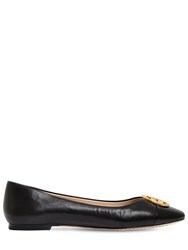 These black leather flats from Tory Burch also feature a round toe, a gold-tone double-T logo to the toe, a soft napa leather upper and a leather lining.